Ford Powerstroke Diesel Forum > Ford 17-19 6.7L Powerstroke Forums > General 6.7 Discussion (2017-2019) > Will a super single conversion affect Warranty? Will a super single conversion affect Warranty? Of course the guys I’m talking to say no but I would like to hear it from others. It’s not that I don’t trust them. 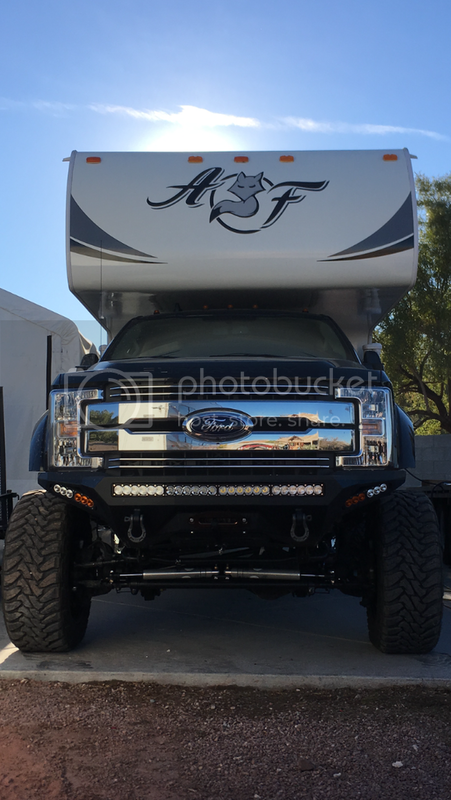 Looking at a 2020 F550 to build a monster overland camper - a poor man’s EarthRoamer. Don’t plan on any engine mods or tuning nonsense. Soon to order a 2020 F550 Lariat C&C! Everybody does aftermarket wheels and always has, point being it’s commonplace so think ford wouldn’t give you issue. What part you think is going to fail? Wheel hub? Many people running high offset with out issue, I wouldn’t worry. But if your concerned then keep your stock wheels and the front dually spacers, put back on if you go to dealer for a claim. You’ll have to carry one dually spacer anyway If you wanted to be able to put the under bed spare on the front. Lastly, AF wheels for the 450-550 are expensive. AF wheels were always expensive but they make far fewer ford 10 lug then the 8 lug so you will pay big $$ and long wait times. Last edited by jetjock15; 04-11-2019 at 06:01 AM. ZMANN and rabpearson like this. Yeah, jetjock, that’s what I’m talkin’ about! I’ve no specific concerns but I’ve not been down this road so I’m a trifle paranoid. camper will sit 18” aft of the cab and the spares will go in that space. Yeah, they don’t give ‘em away but I don’t mind paying for quality. Besides, I NEED MY SPACE!
. Host are super nice. Who would have ever thought we’d see 3 slide outs in a camper? 1 Attachment(s) Tow hook surround?